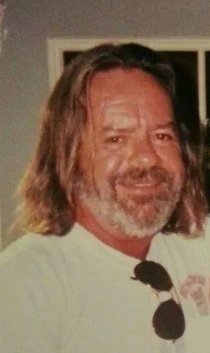 James “J.T.” T. Laughlin age 61, of Ashland, died unexpectantly on Friday October 10, 2014 at his residence. He was born in Ashland on September 17, 1953, the son of William Paul and Evelyn Jane (Morrison) Laughlin. Jim was an Ashland High School graduate. He had been employed with Ashland Chemical in shipping for over 30 years before retiring in 2012. He was a member of the Eagles Club and the Moose Lodge. Jim had been a founding member and had served on the committee for the annual Elk’s Lodge Multiple Sclerosis’s Poker run since 2005. He enjoyed Motorcycles and NASCAR. Jim was also known to be a prankster to his friends and family. Survivors include his daughter, Stacy Laughlin- Riley of Las Vegas, N.V.; two granddaughters; a great grandson; his five sisters, Linda Hankins of Denver C.O., Shirley (Rick) Bonfiglio of Ashland, Nancy (Clayton) Wires of Ashland, Pam (Wayne) Risner of Ashland, Tamie (Gregg) Bellman of Wapakoneta, O.H. ; along with his brother, John (Barb) Laughlin of Ashland. Jim was preceded in by his parents; and two sisters, Martha Laughlin and Barbara Jane Zahniser. There will be a Graveside Service at Ashland County Memorial Park at 1:00 P.M. on Friday October 17, 2014 with Chaplain Dwight “Zeek” Hedglin officiating. The family suggests memorial contributions may be made to the National M.S. Society Ohio Buckeye Chapter 6155 Rockside Rd. Suite 202 Independence, Ohio 44131.